Nowadays athletes are not the only ones who require protein powder. This is a requirement for anyone who wishes to supplement their diet or wish to build their bodies to desired fitness levels. For teens working out and accommodating an exercise routine in a hectic life can be a challenge. What is more of a challenge is to ensure that they consume a healthy and nutritious diet. Often teens do not have the time to spend on elaborate preparations or stocking up on the right nutritional ingredients. Hence a protein supplement is the best option that would provide them not only protein to supplement their workout routines as well as help to keep up their energy levels. Institute of Medicine recommends that daily protein allowance in teens should be 34 grams when they are 13 years of age. This increases to 46 grams for girls in the age group of 14 to 18 years old and boys need 52 grams for the same age range. Usually 24 grams of protein are included in a single serving of a protein powder. Protein supplements do not help in building muscles unless you are supplementing a muscle building workout regime; if you are carrying out a workout regime, whether at home or at the gym, it would help to promote repair and building of muscles after such workouts. You might be impressed and motivated by the toned and fit bodies of men and women seen on protein supplement bottles but that is not a realistic standard. Most models who are showcased on the labels put in years of hard work to achieve that look and hence it is essential that you remember this aspect before indulging in protein supplements. Parents of teens might worry about their children opting for a steroid supplement. However the protein supplements found in the market are not steroids. There are protein powders that are ideal for teen athletes’ bodies and these are simply nutritional protein in concentrated form that the growing bodies of teenagers need. Protein supplements should not be the only thing you consume. Supplements help to fill the gaps that exist in your diet, especially when you are stressed through the day and remain busy. However a consistent and well-rounded diet plan needs to be followed as well as ensure that the effects show up. For instance, consuming soda and a pack of Doritos along with protein supplements cannot be a healthy diet regime. 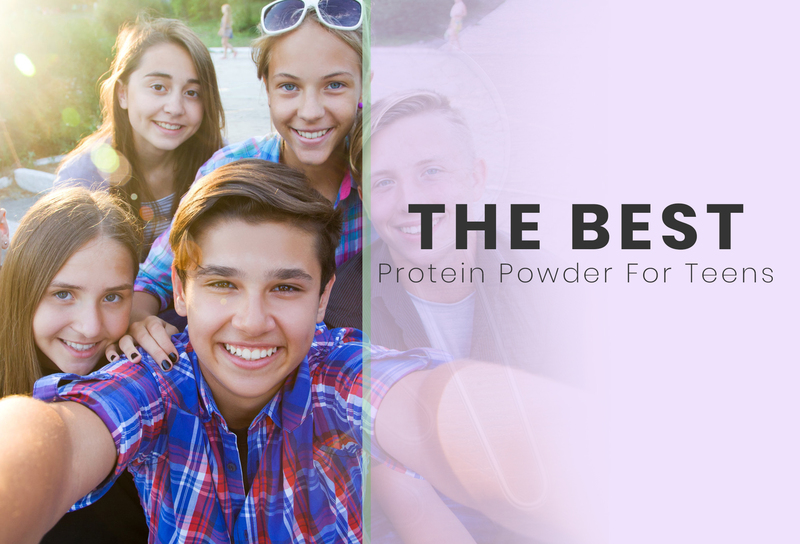 Here are ten products showcased that are considered ideal protein powders for teens that are available in the market of fitness products and supplements. You can go through the pros and cons of the same to know which product would be ideal. Read on to know more. Teens would want to experiment with their protein supplements in terms of nutritional benefits as well as taste. That is what this supplement offers, a unique and different flavor. This is a supplement that you can get not only for your teenager son or daughter, but can be used by all family members. This particular supplement can work as a meal replacer. 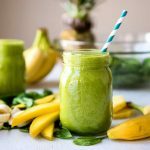 When mornings are hectic, one can make themselves smoothies, or shakes, and add on this supplement in the same. Phenom Nutrition Young Athlete is a protein supplement that is designed to help active teenagers to improve their athletic skills and stay in top form. It is a formulation that is designed for athletic teens in particular. Here is one instance of such a product, the Orgain Organic Protein that is a plant extract based protein powder. This product is a USDA organic product and hence is a product to promote for the health of the environment. This particular product with peanut butter flavor can be a delightful addition to any teen’s post-workout nutrition regime. This product, the All-in-One Shake Cappuccino, provides an indulgent flavor of caffeine along with a concentrated serving of protein in every spoonful. For those concerned teens who are struggling with health issues and have been advised to supplement their diet with extra protein, this is a useful product to consider. Teens lead active lifestyles and if they are into active workout or sports, you need to ensure that their nutrition is adequate. Many teens are prone to snack and that often makes their diet unhealthy and difficult to control. This particular protein supplement comes with the delicious and rich taste of chocolate. It would certainly be a healthy dose of chocolate that minuses the unhealthy attribute of normal chocolate bars. Teens would want to experiment with their protein supplements in terms of nutritional benefits as well as taste. That is what this supplement offers, a unique and different flavor. 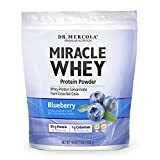 For those who are tired of flavors like vanilla or chocolate would want to give this blueberry based whey protein supplement a try. That is what Dr Mercola Miracle Whey promises and the flavor is an additional advantage of this product. The blueberry flavor is found delicious by many people and the ingredients of the product make it a healthy choice. Not only can it work as a standalone protein shake to consume, but can also be added to different kinds of shakes and smoothies. This can also be an added ingredient for cakes, cookies and muffins. The product has naturally derived ingredients and is GMO-free. This is a supplement that you can get not only for your teenager son or daughter, but can be used by all family members. 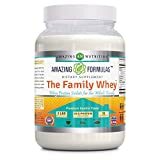 Appropriately named The Family Whey, this whey protein-based supplement is a protein powder that is fast acting and can be used by everyone at home. That includes toddlers as well as children or aging adults. The product is found to be tad expensive as per the amount of servings included in every container, but it could help everyone to supplement from this single reliable product at home. Those who are concerned about the nutritional and health needs of their family members would certainly want to consider this product. It can help improve the health of an ailing child or a teen; at the same time you would know that you are opting for a product approved by the health standard organizations. It is manufactured in accordance with GMP guidelines of the USA; the product undergoes several tests to ensure that its purity and potency is as per set standards. Teenagers have busy lives, from schools to homework, doing part-time jobs as well as meeting other obligations, socializing or engaging in team sports. No matter what a teenager does, young adults usually have their days full and very little time to whip up healthy breakfasts at home. That is where Vaxxen Labs Leftovers Meal Replacement comes in as a savior to help supplement the gaps in meal times. Though protein supplements cannot be a replacement option for a normal diet, it can help in repairing and building of muscles and supplement gaps in daily nutritional needs of the growing body of teenagers. This particular supplement can work as a meal replacer. When mornings are hectic, one can make themselves smoothies, or shakes, and add on this supplement in the same. It can also be enjoyed at any time of the day as part of a shake or when added to a baked item such as cookies or cakes. It would ensure that one is not left starving and without adequate nutrition. Phenom Nutrition Young Athlete is a protein supplement that is designed to help active teenagers to improve their athletic skills and stay in top form. It is a formulation that is designed for athletic teens in particular. That ensures that those who are into action sports get the right nutritional supplement that their body requires so that it repairs and rebuilds right after the hectic days of physical activities. 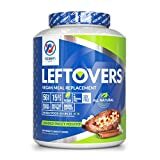 This particular protein-based powder contains protein that is sourced from ingredients like brown rice, sweet potatoes, which ensures that complex carbs are incorporated in the diet of young athletes to help them get the energy they need. This also prevents a bloated feeling that many other protein shakes create in the stomach after being consumed. What is even better is that the Phenom Nutrition Young Athlete is a protein supplement that also contains electrolytes. These help to replenish the essential salts that are lost from the body when one plays active games and spends hours on the field or on the court. Most teens today are concerned not only about their health, but also in buying products that are produced with organic ingredients. Such products are eco-friendly and hence are worth promoting. Here is one instance of such a product, the Orgain Organic Protein that is a plant extract based protein powder. This product is a USDA organic product and hence is a product to promote for the health of the environment. This is a vegan product; it also reduces the carbon footprints in its production, marketing and shipment processes. This pack contains an impressive amount of 21 grams protein in every serving. You would thus be taking care of your health and muscles as well as promoting a green product. This particular product with peanut butter flavor can be a delightful addition to any teen’s post-workout nutrition regime. Peanut butter is known to be a classic protein source as well as comes with a creamy, nutty flavor that is something that all peanut butter fans love. This could be mixed with different food items such as chocolate drinks or in a fruit smoothie with apples and bananas. Those who are concerned about the amount of sugar content in peanut butter need not be worried since this protein supplement removes all the harmful sugar content and allows the right balance of protein in one’s diet. With Quest Nutrition Protein powder you will have a versatile supplement to your diet. You could add a spoonful to any smoothie you make that would convert into a health drink. You could also incorporate the same into baking items such as peanut butter cookies, granola bars and other snack items. Love the taste of cappuccino and the pick me up effects of it? That is something that every young adult might want when they are leading hectic lives. For those who love the flavor of cappuccino, here is a protein supplement that they cannot afford to miss. This product, the All-in-One Shake Cappuccino, provides an indulgent flavor of caffeine along with a concentrated serving of protein in every spoonful. This indulgent flavor is what you would love to have, especially after a workout routine or when you need to stock up on your energy before heading out for the day. This product promises the best of everything, from nutritional goodness to what your taste buds would appreciate. With this protein powder you can simply have a nutritious drink and enjoy the cappuccino flavor without indulging in too much caffeine in a day. You would give your body a healthy drink to bank upon when you need to supplement your meals and have an urge to opt for a cup of coffee. You could instead opt for this drink and enjoy the coffee flavor in your protein supplement. For those who are not too taken in with the flavor or the drink can also opt for the 100% money back guarantee clause. This will ensure that one has not wasted their money on a product that they do not find as effective or flavorful as they expected. For those concerned teens who are struggling with health issues and have been advised to supplement their diet with extra protein, this is a useful product to consider. 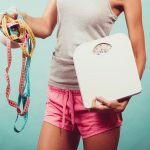 It might be difficult for a teenager to plan a complete overhaul of their diet and time consuming to ensure that they have a wholesome diet every day. In order to ensure that protein in their daily diet is adequate that is required for a healthy, growing regime, this particular product can be a blessing. The ingredients of this product are sans all the unhealthy items that are unwanted in protein supplements such as those that taste like milkshakes or have too much sugar content. Reset 360 All-in-One Shake promises to provide all the nutritional goodness without the limitations of a standard protein supplement. The low sugar content of this protein supplement is an added plus with only a single gram of sugar added to every serving. The formula packs in power and potency that one would realize after making it part of their regular diet. 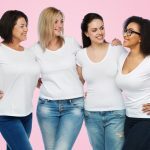 The formulation has been made by Dr Sara Gottfriend who is a medical doctor with Harvard credentials as well as the author of The Hormone Reset Diet. 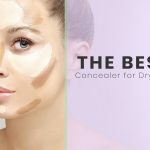 For those who try the product and are not satisfied with the results or the taste can opt for the clause of 100% money back which is a guarantee provided with the product. Teens lead active lifestyles and if they are into active workout or sports, you need to ensure that their nutrition is adequate. Many teens are prone to snack and that often makes their diet unhealthy and difficult to control. As most snack items that teens tend to grab are unhealthy, this is a particular supplement that can act as a nutritious and fulfilling drink on the go. That is what Sneakz Vegan Protein Powder and Drink mix aims to provide, whether you are a teen who needs to look into their own diet or a concerned parent helping their active teens in keeping a healthy diet. This protein powder and drink mix comes conveniently packaged in small containers. Though there are only ten servings included in every product, it is a shelf stable formula and can be stored for long. The single servings are easy to carry around or stow away, either in a locker or carried in a backpack. Each serving packs can be conveniently mixed in a drink to keep hunger pangs at bay. 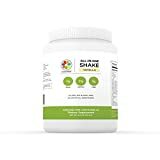 This is a vegan and protein-based organic powder that also includes the goodness of vegetables, about half a serving in every eight ounces of the powder. There are pro-biotics added in as well that aids in improving digestion. Hence, if you are concerned about your teen son or daughter not getting adequate nutrition from their meals, simply pack in this powder or make a drink out of it for them to consume every day. This particular protein supplement comes with the delicious and rich taste of chocolate. It would certainly be a healthy dose of chocolate that minuses the unhealthy attribute of normal chocolate bars. What you get is a chocolate treat that is healthy, is comprised of natural ingredients and provides a concentrated amount of protein in your diet. It is also sugar-free and contains probiotics. Even if it sounds too good to be true this whey protein isolate is a premium product of a reliable brand. For teens, who are put off by the chalky taste and texture of protein supplements, LeanPro30 New Zealand Whey Protein Isolate provides a high concentration of protein as well as with the rich taste of chocolate. This can be a favorite of adults as well as teens. The protein concentration is high in this product, about 93%. There is 28 grams protein provided with 30 grams of the powder. 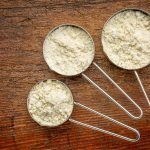 It is a natural protein powder that is safe and effective for teens. Most teenage boys wish to gain muscle mass, but it could also be a basic nutritional need to supplement a diet that often falls short to provide what such growing bodies require. With healthy protein supplements teenage boys and girls can ensure that they have a healthy drink or snack to bank upon that would fulfill their daily nutritional needs. It is a simple and fast process to simply mix such a drink with its right serving in a glass or milk or simply mix it in water; a healthy breakfast smoothie would be healthier with a protein supplement added. With teenage days being busy and physically demanding, a protein supplement is what you need to take care of your nutritional requirements. As can be evident from the product choices unveiled above, there are different kinds of supplement choices to look at. These comprise of different flavors, textures and above all, nutritional ingredients blend that one can pick from. The products can be chosen as per the personal lifestyle needs as well – whether one is a gym-goer or has to hit the fields from early morning, teenagers need to supplement their meals and ensure that they have healthy replacements for the meals they forego. 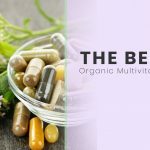 The above-listed products are safe and of reliable brands, used and reviewed by many customers to testify to the efficacy and safe usage of these supplements. Parents and teens can visit the product links provided to check up manufacturer details and make purchase decisions in an informed manner.